Earth Hour has been a very success and phenomenon movement protecting mother earth our home and our ancestor home. Uniting our differences ! A role we need to play ! Penang State Government and WWF jointly organized in conjunction Earth Hour worldwide, a 3.5 KM night walk along Penang Heritage Trail. Support this effort through your action will contribute large awareness across Malaysia. To join this Earth Hour night walk, a small fee RM60 to pay for every participant in return, they will get an exclusive 2014 Earth Hour T-Shirt, sticker and an E-certificate of participation. 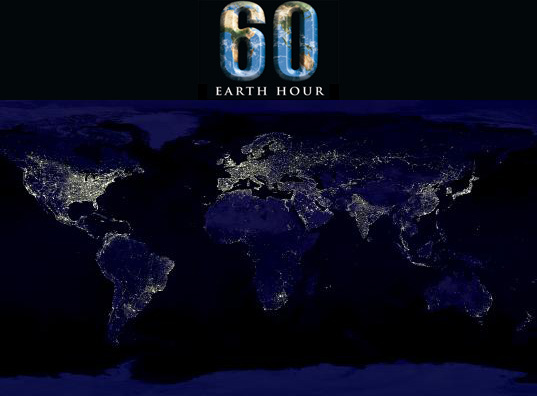 Earth Hour has been global movement involving big cities. We always watch the world how they did to support Earth Hour campaign. Now Malaysia has the chance to extend the effort. Join this if you care and able to do ! Making this a success movement in our soil ! Earth Hour is a movement organized by WWF way back from 2007. Now the movement has made tremendous impact to cities. Well known Hotels and Shopping mall around the world amazingly practice this movement and making a role model for us. If big companies, hotel and shopping mall are doing and advocate this movement, we can do this too right? Don forget to share this information and tell them on that day 29 March 2014, we are closing unused lamps for this wonderful occasion.